I recently came across an article written by Guarav Balla in 2009 entitled The DNA of Value Co-Creation. Although it was written two years ago, it is still highly pertinent to today’s discussion on customer-organization relationships and the part value co-creation plays in the product and service development process. 1. 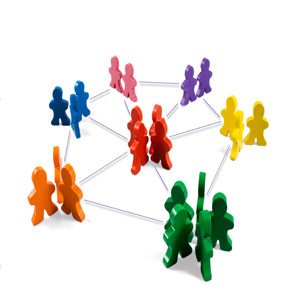 Value co-creation primarily centers on the notion that organizations are ‘creating unique and specific value for individual customers’. This is a particularly important component of creating customer-centric products and services. With existing social technologies like discussion forums, social media monitoring and help desk applications companies are better able to engage with their customers on an individual basis. 2. The increasing presence of customers on the Internet combined with the emergence of the social customer ‘has significantly altered the balance of power between organizations and customers’. Customers are online right now discussing products and services and it is imperative that an organization remain part of that dialogue. What are your thoughts on value co-creation– do you believe it is a viable strategy to incorporate into the product and service innovation process?